Dryer Vent Cleaning York County 717.479.6873 Dryer Vent Wizard of Central PA is the dryer vent technician to call when you need dryer vent services including dryer vent cleaning, dryer vent repair and dryer vent installation. Professional dryer vent installation followed by regular dryer vent cleaning ensure your clothes dryer operates safely and efficiently. York County PA – Dryer vent cleaning technician, Jerry Strausbaugh joins efforts with Wizards across the US, to educate consumers to minimize the risk of dryer fires. Since becoming a Wizard, Jerry has enjoyed a rewarding career, building lasting relationships with his customers while providing an important home service. Jerry Strausbaugh educates his customers about the importance of dryer vent maintenance to prevent dryer fires and reduce energy consumption. Dryer Vent Wizard (http://www.dryerventwizardpa.com) is a force for neighborhood safety as he makes clothes dryers safer and greener. 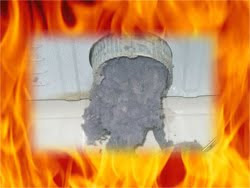 Jerry warns his customers that most dryer fires are a result of failure to clean dryer vents. Another leading cause of clothes dryer fires is a faulty dryer vent system. Current safety codes require the use of rigid metal for dryer ducts. “Many people are still installing dryer vent systems of flexible foil or vinyl, which is easily crushed, obstructing air flow from the dryer to the vent outside,” said Strausbaugh. Jerry receives positive reviews from happy customers who give him a 5 star rating in all areas of service including professional workmanship, cleanliness and customer service. Jerry’s customers remain loyal and refer their family and friends to the Dryer Vent Service Wizard. 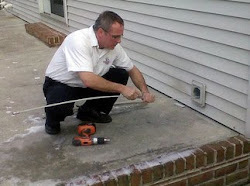 Dryer Vent Wizard is the largest chain of dryer vent service providers in the nation. Jerry Strausbaugh serves residents and business owners in Central PA, York County, Dauphin County, Lancaster County and neighboring cities and communities. Visit http://www.dryerventcleaningyork.com/ to learn more. About Dryer Vent Wizard: Dryer Vent Wizard is a member of the National Fire Protection Association and the largest chain of dryer vent cleaning, repair, replacement and alternation specialists in the U.S. with nearly 60 franchisees in major markets. 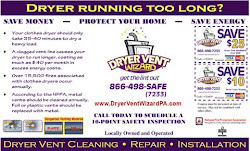 Dryer Vent Wizard franchisees work to promote public awareness on the importance of dryer vent cleaning to prevent dryer fires and save energy. Consumer education while making clothes dryers safer and greener are the main focus of DVW franchisees. Dryer Vent Wizard was founded in 2004 by Dave Lavalle who is also the founder of the Mr. Handyman franchise. This rarely, if ever, means your dryer is aging or wearing out! One of the most important functions of a dryer is the elimination of moisture recovered during the heating of damp clothing. This moisture is held in the warm air produced by the dryer as humidity, and is normally expelled to the outdoors through the dryer's vent. If this air can not be adequately removed, poor drying will result. This moisture can also condense into pools of water in the dryer vent, eventually leaking out. Any moisture accumulation inside the dryer ducting is a sign of poor venting which should be looked into. Schedule the Dryer Vent Wizard for a dryer vent cleaning and inspection.